Making some ethical changes to my wardrobe. I’ve been doing a lot of thinking lately about my clothes-shopping habits and I’ve begun making a few changes to the way I buy clothes. A couple of years ago I read a sensational book called To Die For: is fashion wearing out the world? by Lucy Seigel. The book talks a lot about the social and environmental impact of fast fashion. It opened my eyes to a whole lot of issues that I’d never been aware of before. I recently read The 100 Things Challenge by Dave Bruno. Once again, I found this book to be a real eye-opener about consumerism and our drive to acquire new things. I’d really like to change the way I shop in order to reflect my personal ethics. In particular, I don’t want to buy mindlessly. I really want to put more effort into considering my purchases to make sure that my money goes to businesses that support my beliefs. – Firstly, a lot of the clothing I buy comes from retailers that produce clothing overseas in countries with less-than-stellar labour laws. A lot of this clothing is produced in sweatshops or by home workers who are forced to work in dangerous and degrading conditions. – I buy a lot of clothing without thinking about where it’s come from and the impact of producing it. I’d like to start choosing more clothes that are made using more environmentally sustainable practices. – I tend to shop for price rather than quality. I find it easy to be drawn into buying something simply because it’s cheap. – Buy less. I have more than enough clothes hanging in my wardrobe right now. I really don’t need to buy as much as I do. I’d like to start reducing the amount of clothing that I’m purchasing. – Buy more second hand. This is an easy one for me, because I love thrift shopping. It’s a great way to recycle items that are already out in the world and support charities that run the op-shops. – Buy better quality items. I’m going to try to save up to buy better quality items that will last longer and won’t have to be replaced as frequently. – Choose Australian made items. I’d prefer to buy items that are made in Australia because I know that workers here are protected by our labour laws. However, this one is hard to do, because most clothing that is sold in Australia isn’t actually made in Australia. – Make more things for myself. – Mend and make do. Rather than replacing items when they fall apart or break, I should attempt to fix them. – Upcycle. 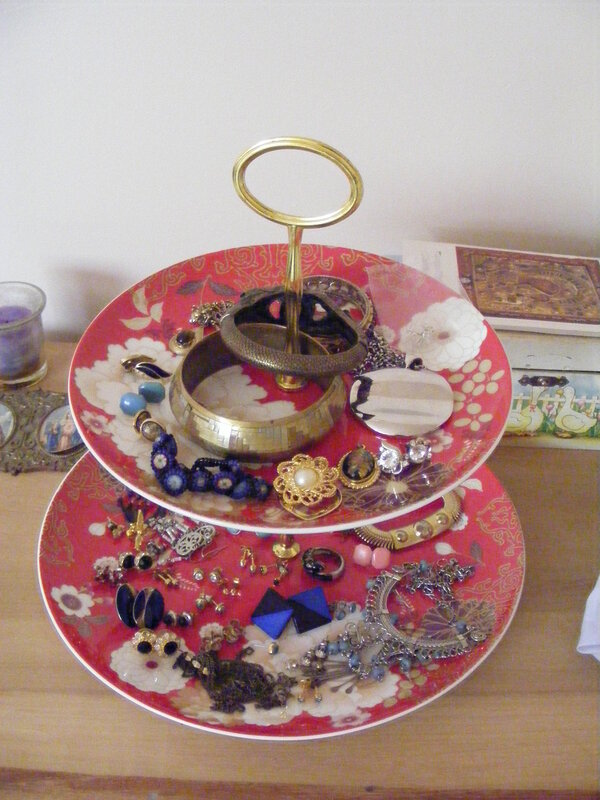 With items that are worn out and can’t be repaired, I’d like to try to use them to make something else. I’ve been brainstorming lately and I’ve come up with a bunch of awesome things to make out of my worn-out tee shirts and linens. – Buy from independent retailers. As a small business owner, I feel that I have a duty to support other small businesses. Even though I have a pretty small budget for spending money, I like to pour as much of it as possible into independent retailers. I’m trying to buy many items from etsy sellers and small retailers that make their own stock. This way, I’m ensuring that my clothes have an ethical background and I’m supporting a small business owner. – Look for environmentally sustainable fabrics. This can be very tricky, but I’m trying hard to look for clothes that are made from organic cotton and wool, bamboo fabric, hemp and recycled materials. Although I understand that I’m not always going to be able to stick to these changes, and I’m sure to slip up occasionally, I really want to make an effort to change the way I shop and pour my hard-earned cash into businesses that are doing the right thing. Do your shopping practices reflect your ethics? 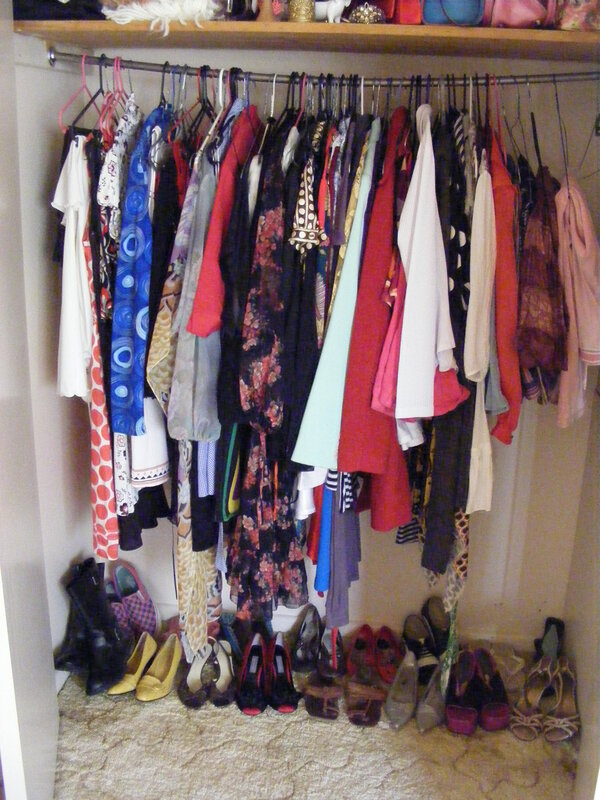 Are there any changes you’d like to make to your shopping habits and your wardrobe? I totally agree! I love buying lots of cheap stuff from shops where almost all of their clothing is made overseas in deplorable conditions, much of which I never actually wear. That’s why I don’t feel so ridiculous now for buying so much of my clothing from Black Milk because almost everything they sell is made in Brisbane under excellent conditions (I’ve toured their premises and have seen this first hand). Yes it’s expensive, but boy does it last and I don’t feel any guilt about where it came from or who made it! Definitely! I have heard only good things about Black Milk. For myself I’ve clothes shopped once in at least 15 months now. Most of my clothes have been second hand and I keep them until they’re fit for cleaning rags. I know a lot of non Western countries are known for poor labour conditions and it’s true but they also have initiatives that are worth supporting – e.g. organic, fairtrade cotton (important for underwear for example) and women’s textiles cooperatives which also gives them more social standing (akin to organic food – they have more of it than Western countries though Mosanto is changing that). Buying local is wonderful too if possible and made easier with online places like etsy or shopping areas that feature independent shops rather than commercial brands. Either way though it’s hard to find out where the fabrics come from and how they are dyed. Dying clothes is quite horrendous, particulaly fabrics like leather and just seeing the health of the communities that revolve around them is heartbreaking. I find clothing the hardest part of being vegan because there’s even less information available about where all the material components of an item comes from, who makes it and how they are treated. Being frugal and having been freegan though I know it is possible to get quality for next to nothing and without ripping off traders either but it’s never enough. Constantly trying to do more. I’m in the process of researching some women’s textile cooperatives to support. I think these are incredible organizations and I’d really love to offer my support to them. Not everything that comes out of non-western countries is the product of sweat-shops, but a lot of it is. This is particularly true of items that are sold at super-cheap prices by big chain stores. Oooh, thanks so much for that. That’s really helpful! This is such a hard topic. We did a sustainability in fashion unit for TAFE last year and it was a whole can of worms. For instance did you know that 25% of the worlds insecticides and 10% of the worlds pesticides are used JUST in growing cotton? Bamboo is suppose to be a great alternative as it is quicker growing and doesn’t require as many chemicals…BUT the get bamboo to fabric it requires tonnes of water. We also did some case studies on “sustainable” businesses…which ended up broke within a few years as prices were too high for the market once they made sure they used ethical materials and paid their workers a decent wage. One thing none of my classmates mentioned was living in a lower income bracket. The reason “fast fashion” is almost necessary is for people living with almost no disposable income. When our girls started school we had the option of buying their shirts from the school for $24ea or from best & less for $3ea. The school shirts were made in Melbourne from a local uniform company and had the logo embroidered on it. The best & less ones were made in china. I try my best to avoid buying retail and prefer to spend my money on vintage and second hand. But even then – most of the vintage I buy comes from overseas and then I pay for shipping which comes by plane…. The unit really did my head in as I realized it is nearly impossible to be 100% ethical when it comes to fashion unless you grow your own cotton (with recycled water and no pesticides), make your own fabric and make your own clothes (using a solar powered sewing machine). That being said it really did make me think more before I buy. I take extra good care of the clothes I do have. If I do need to buy something new I try wherever possible to buy the best that will last me forever. I mean I love that cocolatte sells $7 cardigans in every colour…but they really only last me a few wears before they stretch out of shape, fade and pill. I’m saving up for a beautiful “Brora” cropped cardigan. It’s $200-$300 for a cardigan but all the reviews talk about the lasting power. I also really try to think of cost per wear when I am buying. $150 on an evening/cocktail dress might not seem super expensive…but I have only worn it once. Whereas I have spent $200 on my latest “Fleur” dress from Heyday vintage and I will wear it once a week at least. The first one I got on sale and have worn it 2-3 times a week since it arrived. The thing my teacher really left me with was – be aware of all these things and try your best. That’s all you can do. I had to laugh out aloud when I read this comment, because these were exactly the kind of thoughts that started spinning me out when I first began researching the idea of sustainable shopping. It’s so overwhelming when you realize that there is no “perfect” solution, and that there are so many factors to weigh up. One thing I loved about the book To Die For: Is Fashion Wearing Out the World (which prompted this idea for me) was that it acknowledged that there are major downfalls to most of the “sustainable” options available. But the author offers a lot of content and essentially just gives the same advice: be aware, do your homework and try your best. I’d just really like to make sure that my money is going to support businesses that are trying to do the right thing, and to attempt to do what I can. I know I won’t be 100% perfect (I’m bound to slip up next time I see something super-cheap and pretty!) but I just want to be more conscious of my buying habits. Also, I definitely agree that fast fashion has it’s place. I can totally understand needing to buy things for the lowest possible cost when you live on a small income. If it wasn’t for Best and Less, I don’t think I would have bought new underwear the entire time I was at uni! Not everyone has the time or money to invest in this kind of shopping. I totally understand that and I don’t blame anyone who subscribed to the ‘fast fashion’ model. But for me, personally, I’d like to start putting more time and effort into thinking about my shopping habits because (at this point in time) I have the means to do so and it’s important to me.